Hemispheres Magazine Cover Story, May 2009. When expedition leader Paul Rose talks about "Oceans", an eight-part BBC documentary series, he sounds like a Hollywood screenwriter pitching a Jaws sequel. "These two green eyes appeared, and this 15-foot prehistoric shark was in front of me," he says of the elusive six-gill shark, which lurks about 6,000 feet down, except on new-moon dark nights. A few minutes later, though, as he describes and encounter with aggressive wreck divers scavenging off the coast of Africa, it's more like an Indiana Jones sequel. All this action and adventure started with a huge, ambitious mission: to tell the story of the ocean, a 4 billion-year epic. 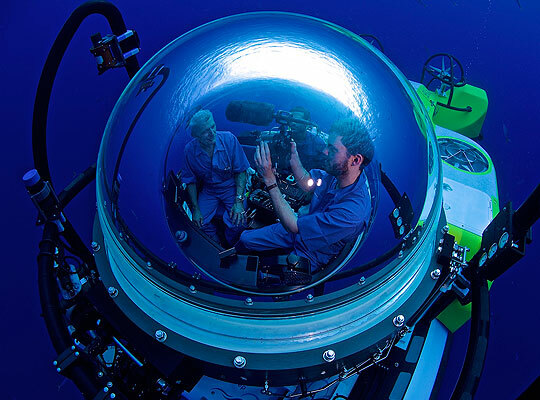 Rose and cohosts Philipe Cousteau (grandson of Jacques), Lucy Blue and Tooni Mahto went on more than 1,000 dives to learn how the sea has changed over time. They came up with so much data that Rose also had to write a book, Oceans, Published by University of California Press. From once-dry caves in the Mediterranean, to fossils in the Red Sea off Eritrea that show signs of early human life, there are numerous stories to be told. With a slim budget and a team of 25 people - Rose calls the "the best of the best" - "Oceans" explores the history of eight areas, from the Bahamas in the Atlantic Ocean to the Arctic. But how did they do it? Any scuba diver can tell you there's a lot of preparation and equipment involved, just like any filmmaker can tell you their work takes time, preparation, and, yes, more equipment. Given that the team had only two or three weeks at each location - they filmed all eight parts in a year - the production of "Oceans" is almost as much of a marvel as the series itself. The crew collected 445 hours of footage, travelling the world with two tons of equipment - from the Norwegian ice breaker to a breath collecting kit for sperm whales. That underwater camera in your suitcase doesn't look cool anymore, does it? One challenge they faced was the danger of disrupting the wildlife - a perennial struggle for divers. 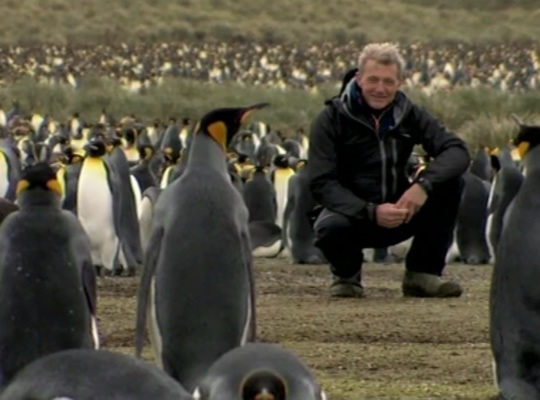 Add a camera crew, and it becomes all but impossible to observe the animals acting, well, naturally. Enter the 360-degree camera. Dropping this 10-inch dodecahedral gadget into the water far from the boat, they managed to record venomous lionfish - one of the most efficient predators in the sea - in action. The "Oceans" crew was also the first to capture Etritrean corals fluorescing. The divers used blue lights to activate the particles and yellow lenses over their dive masks to enable them to see the flourescence, coming away with gorgeous shots of the fluorescent pigments, which are thought to act as a sunscreen. For all of the team's gadgetry, some dives required a "MacGuyver"-like approach. 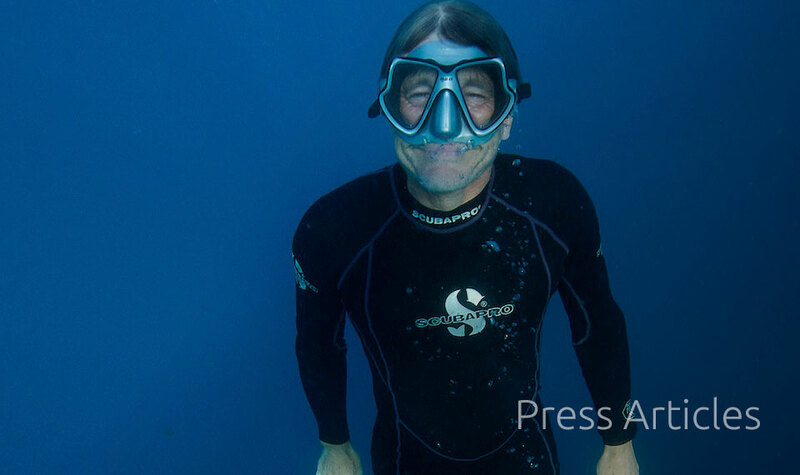 In the Sea of Cortez, for example, they dove with locals and adopted their technique of making oxygen tanks using paint spray compressors, beer barrels and garden hose. On another dive there, they employed a much techier remote-controlled helicopter to fly through sperm whale "blow" and analyze it. As for the six-gill shark, Rose made two dives without spotting it. Not until he tied 10 pounds of tuna around his waist did he encounter the mysterious beast. One point of pride for Rose is the program's "lovely human scale." He explains that big-budget programs (Think: the blockbuster "Planet Earth" series) spend months getting the perfect shot. The scrappier "Oceans" crew "could only spend a few days on each dive, which is more like what a normal person might do, " Rose says, making the series something of a travel documentary for hard-core divers. But even landlubbers will be fascinated by "Oceans". Wether its the bright corals or the risk factor in plunging into a sulfur-smelling "black hole," an underwater cavity with no oxygen and scads of attacking bacteria, there's a lot of drama beneath the sea - not surprising when you consider 80 percent of all life is found there. Rose sums it up best. "It's really just a beautiful project." Paul Rose diving photo credit; Ian Kellet.